Innervision Design Ltd, in collaboration with Xtratherm, delivered a CPD seminar titled "Design to comply with Part L1A 2013"
This seminar, organised by Innervision Design Ltd in collaboration with Xtratherm, offers detailed technical design advice on how to achieve compliance with Part L1A 2013. 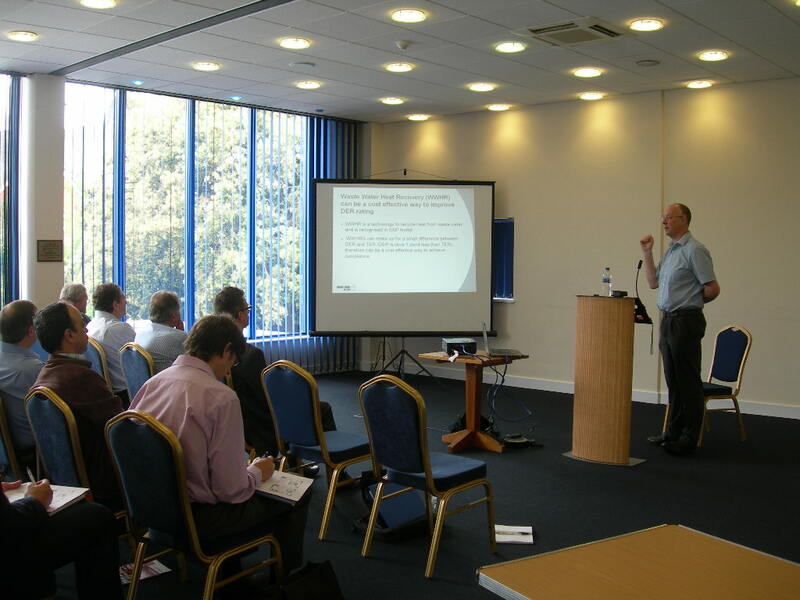 A group of architects and Building Control Bodies from Herts, Essex, Cambridgeshire and London attended this 3-hour seminar. Any new residential dwellings registered after 6th April 2014 with a Building Control Body will now have to comply with more stringent Part L1A 2013 Building Regulation Standards. Target Fabric Energy Efficiency (TFEE) is introduced for the first time by the government. Architects and designers will have to pay increasing attention to building fabric and thermal bridging in order to achieve compliance. The seminar covers issues including how to enhance building fabrics and reduce thermal bridging using Accredited Construction Details (ACD) and Enhanced Construction Details (ECD).